Civil discussion, healthy debate, and opposing opinions over craft beers and gourmet pizza: who would have thought this was possible in Washington, DC? Some members skewed more to American muscle while others towards European luxury, but through lively discussion we came to a consensus for three potential new stablemates in the Drive Society garage. As this was our first Great Car Debate, we were excited to see what direction the members would steer the club. More manuals? More convertibles? More AWD? More hard-core sports cars, or more grand touring cars? The first item for discussion was what types of cars are missing from the club. The current fleet skews towards hard-core sports cars with mostly manual transmissions, very firm suspensions, and minimal creature comforts. While this resonated with most members and few were concerned with larger cars, winter friendly, or off road cars, there was a general consensus to add something that’s a little more luxury and more comfortable for the weekend getaway. If possible, a convertible is great for such occasions and a quick shifting automatic allows more drivers (and spouses) to participate. The current plan is to add two cars to the fleet in 2018. Other swaps are possible, but the basic idea is to get something under $100K now and over $100K later this year, assuming there’s demand for another high end or exotic car. Of course we want every exotic, but how many can a small club really use? More members will help solve this problem. 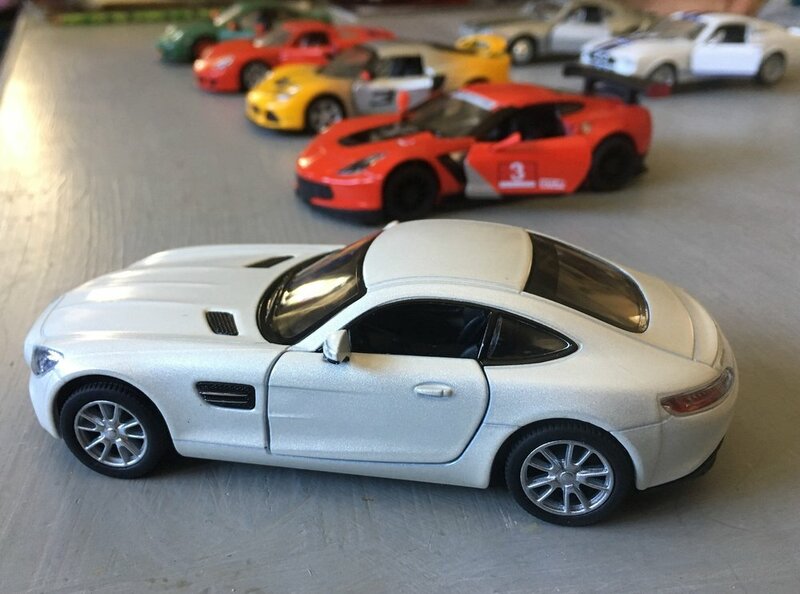 Mercedes Benz AMG GTS, C7 Corvette, and Jaguar F-Type! Stay tuned to see what we buy!